#HermitsLacrosse 2020 FO Steven DelleMonache has committed to Robert Morris University. Congrats Steve! #HermitsLacrosse 2020 David Burr (Glassboro, NJ) has committed to US Air Force Academy. Congrats Dave! 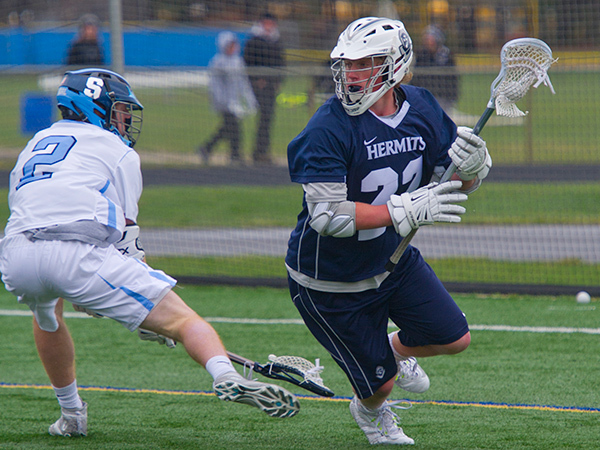 #HermitsLacrosse Junior Defenseman Wilson Carpenter has committed to Lehigh University. Congrats Wil! Big congrats to #HermitsLacrosse D/LSM Brandon Gibson (‘19 / Army West Point Athletics) on being named US Lacrosse NJ All-American! Hermits Senior Attackman Ryan Field has committed to Elizabethtown College. Congrats Ryan! 2012 Hermit alum Bill McMenamin (Longport, NJ) was recently named to Team Ireland in a January 3 press release. McMenamin survived a tryout process as one of 23 non-domestic players, out of nearly 100 prospects, who earned the privilege of representing Ireland in the World Championships that will take place in Netanya, Israel July 12-21, 2018. Billy is the first Hermit to participate in the FIL World Championships, which is held every four years. 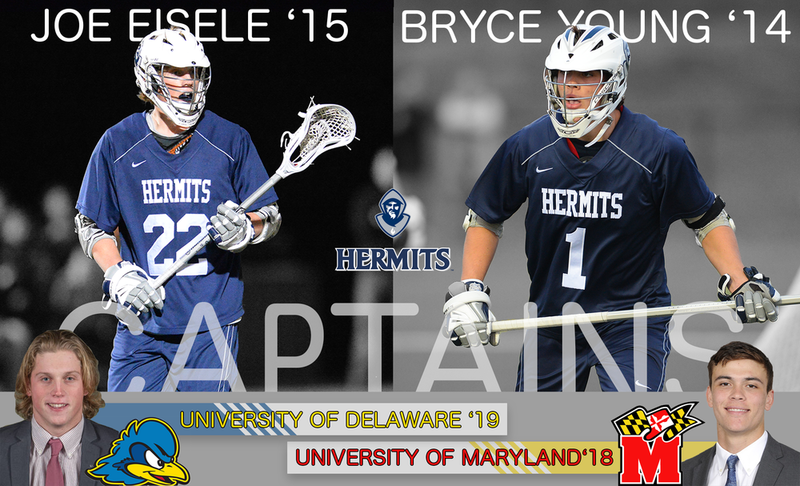 Hermits Lacrosse alums Joe Eisele ('15/University of Delaware) and Bryce Young ('14/University of Maryland) were recently named as captains for their programs for the 2018 season. Both Joe and Bryce were captains for the Hermits Lacrosse program during their senior year. 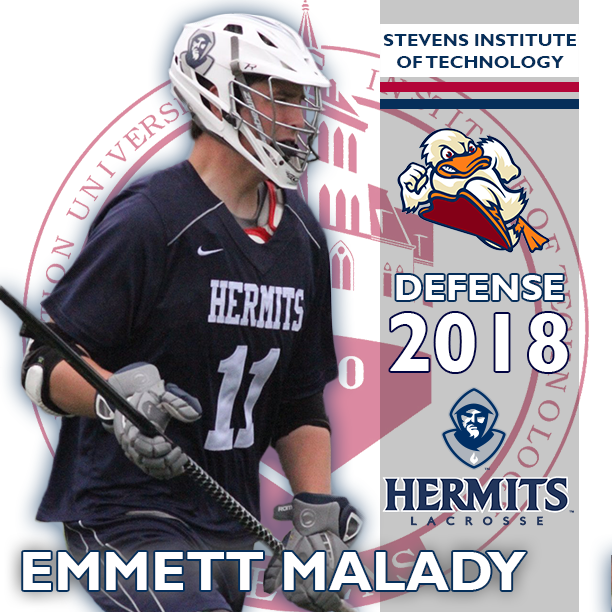 Hermits Senior Defenseman Emmett Malady has committed to the Stevens Institute of Technology. Congrats Emmett! Hermits 2018 Midfielder Tyler Kuni has committed to Lynchburg College. Congrats Tyler!